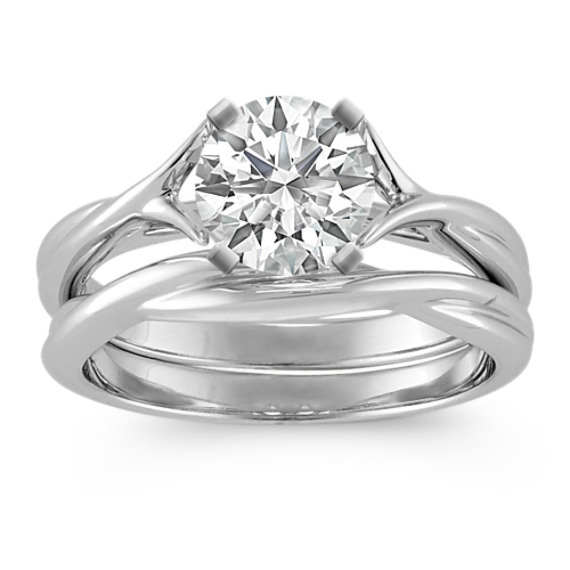 Crisscross Solitaire White Gold Wedding Set | Shane Co. This modern design is a Shane Co. exclusive. Crafted from superior quality 14 karat white gold, a smooth, polished finish gives this piece elegance and shine. This unique wedding set with a split shank serves to highlight the center diamond of your choice.